9 September 2016: Tropical North Atlantic is Loaded! This Friday 9 September marks the 101st day of the 183-day annual ‘official’ Atlantic hurricane season, which means 45% of the season still remains ahead of us including those days in September that historically have generated most of the hurricane activity. Only Mother Nature knows how many days the actual hurricane season will be comprised of in the Atlantic, but at least in ‘official’ terms counting from June 1, the start of the season, 55% of the Atlantic season is over. What’s happening on this 101st day of the season? 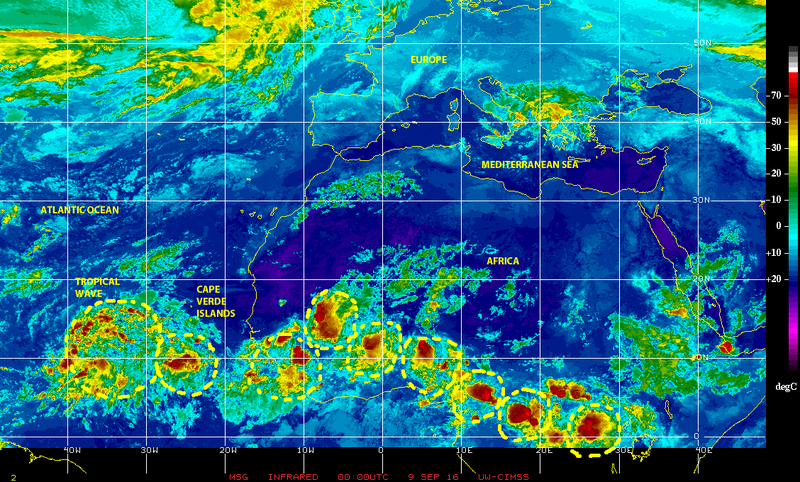 A look at satellite imagery shows at least three tropical waves active between ‘hurricane alley’ and the Bahamas, and several more moving westward across Equatorial Africa and the Eastern Atlantic waters south of the Cape Verde Islands. 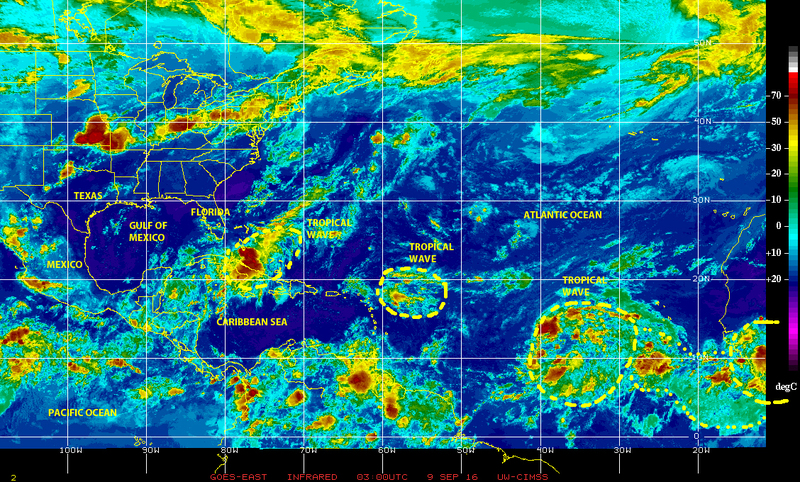 Any one of these tropical waves must be viewed as a ‘seed’ for potential cyclonic development in days to come. From where we stand in our neck-of-the-woods, here in Southeast Florida, it appears the entire system is loaded. Consequently, it behooves us to monitor each of these tropical waves closely over coming days, remaining alert and being prepared! 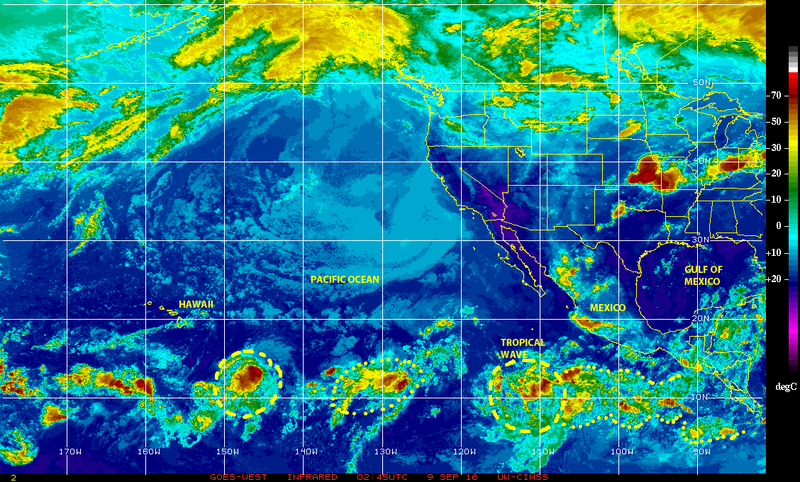 A quick look at the Eastern North Pacific basin shows a similar situation of several tropical waves, and cells of disturbed weather, moving from the northern region of South America, off the coast of Central America and Southern Mexico and into the waters of the Central Pacific. Any one of these becomes a seed for potential cyclonic development in a region that has already generated fourteen-named tropical cyclones so-far in 2016! Keep watching! No surprises needed! MITIGATE, MITIGATE and MITIGATE! Previous PostIt is Labor Day 2016: Remain alert, Hermine, Lester and Newton are out there!Next Post14 September 2016: There is a trio in the Atlantic!